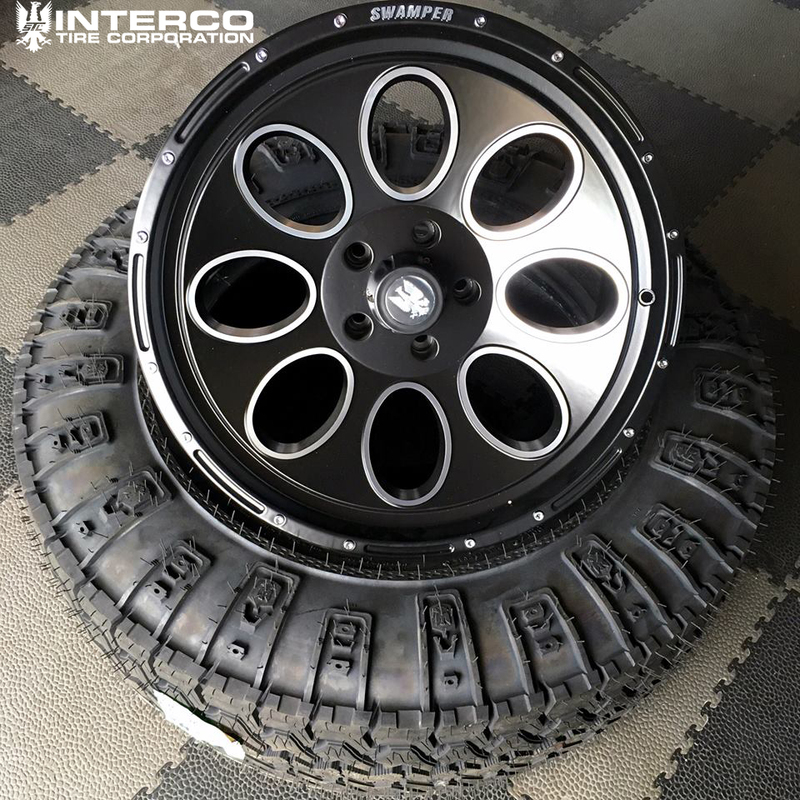 The Swamper wheel is the long awaited follow-up to the Interco Birddog Wheel. 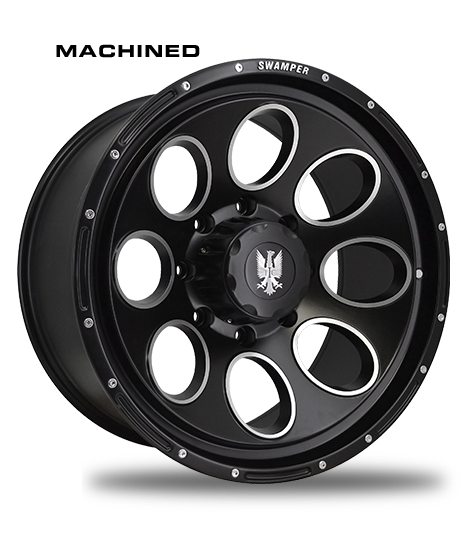 Although not an off-road purpose built wheel like the Birddog, the Swamper wheel is a rugged, two-piece, cast aluminum wheel with classic good looks and appeal. 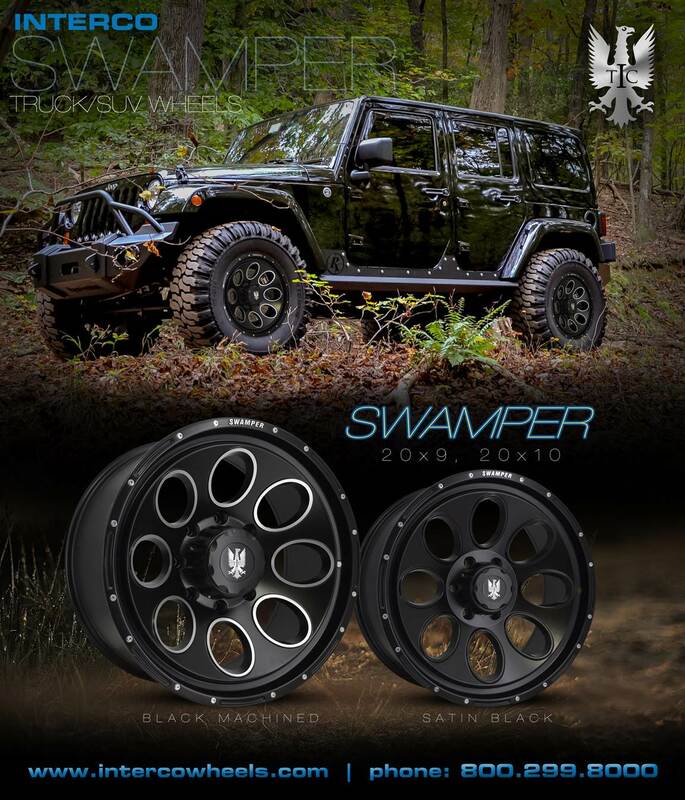 The Swamper wheel comes in one of two finishes: Satin Blacked Out or Satin Black Machined and are designed to be stylish as well as functional. They are just at home on the trails as they are in the parking lot of your local mall. 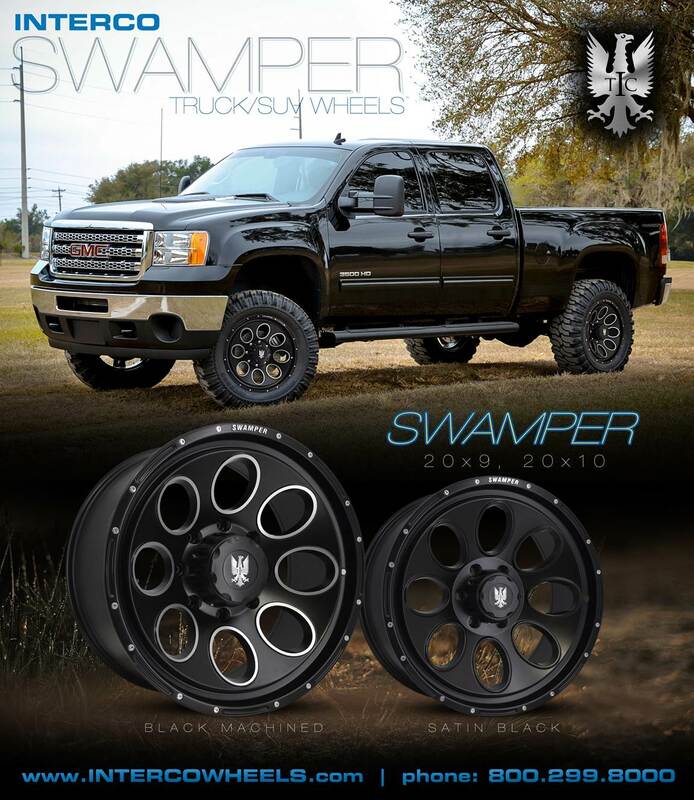 Swamper wheels are TPMS sensor compatible and available in most modern truck, Jeep or SUV bolt patterns. 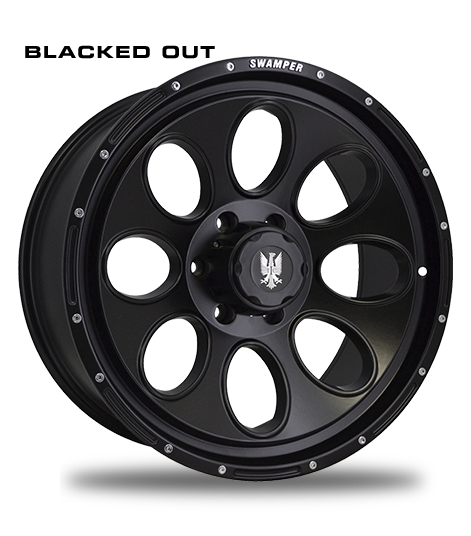 Swamper wheels come in 17 x 9, 20x9 or 20x10* diameter sizes in various back-spacing and off-set combinations. Please see chart below for specific wheel style, bolt pattern, back-spacing and off-set combination. 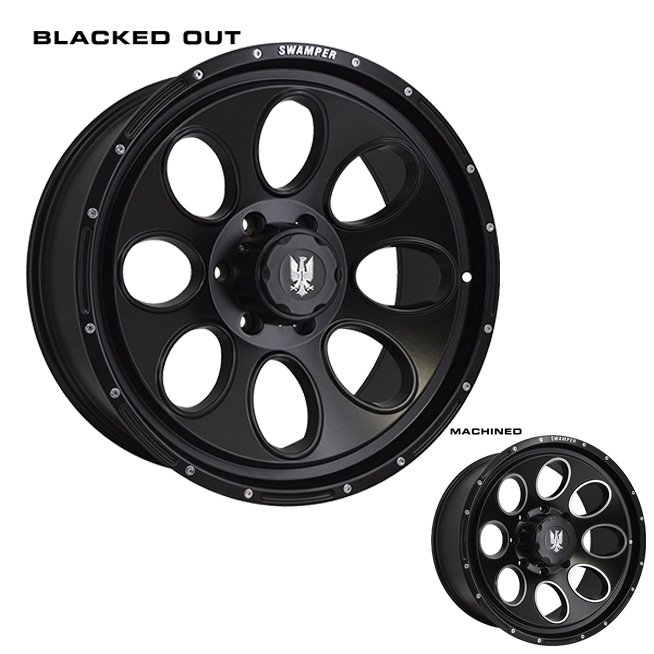 Wheels are available factory direct, please call 800-299-8000 to place an order. 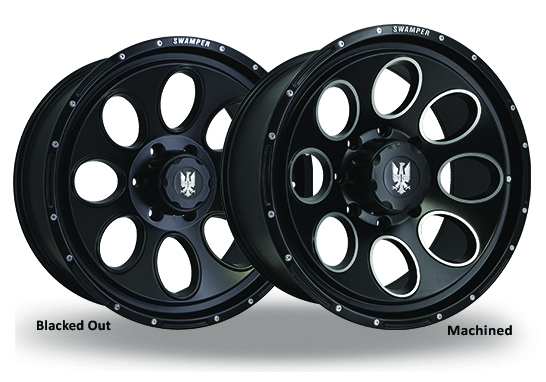 *20x10 wheel size available in 8-lug bolt patterns only.